Whether you’re a tourist or a local who needed to rent a vehicle to use for a couple of days, it is always essential that you know what to look for when it comes to car rental companies. Romania is filled with different car rental services. You just don’t randomly pick a business because their name sounds interesting or because you saw them advertise in the local newspaper. Choosing the right car rental service is more than just a good logo or advertisement copy. You have to know what the significant factors are when it comes to choosing the perfect car rental company that Romania has to offer. 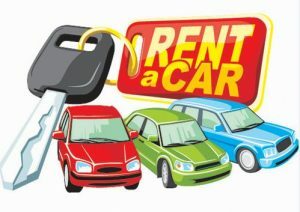 When you rent a car from a particular car rental company, what are the things that are covered? Does it come with gas, or with insurance? How many days can you rent the car? What’s the maximum number of days you can have it, and what’s the minimum number of hours? These are fundamental questions that you shouldn’t fail to ask these services. Gather as much information as you could. You would want to learn everything about the company to make sure that you’re going with the right one. There have been disaster stories from other people whose vacations are ruined because they ended up with the wrong car rental services. You wouldn’t want the same thing to happen to you, especially if this is a once in a lifetime trip. Regardless if with your family, friends or special someone, you should take your part in making sure that this trip will be as memorable as possible. This can only be achieved if you have the right transportation services that you greatly deserve. The cheapest car rental isn’t the best one out there, nor is the most expensive one. Check which company offers the best value for your money. This can be done by considering the coverage, vehicle that you’re about to drive and the duration or length of rental. If you’re not familiar with the company, check online reviews. Some travelers are more than willing to share their experience with a certain car rental service they’ve used. Weigh the negative and positive reviews. From these reviews, use your judgment and see which of the companies work best for your needs, budget and for your overall experience. Don’t let the wrong car for hire company ruin your vacation. You can do something to avoid this from happening. Here at Promotor Rent a Car we provide car rental services at its highest standards, safety and punctuality anywhere in Romania. We managed to gain trust and respect of our customers by offering cheap car hire services and a safety wide range of new vehicles at lowest rates.